Mr Yakubu Dogara, Speaker of the House of Representatives in Nigeria. 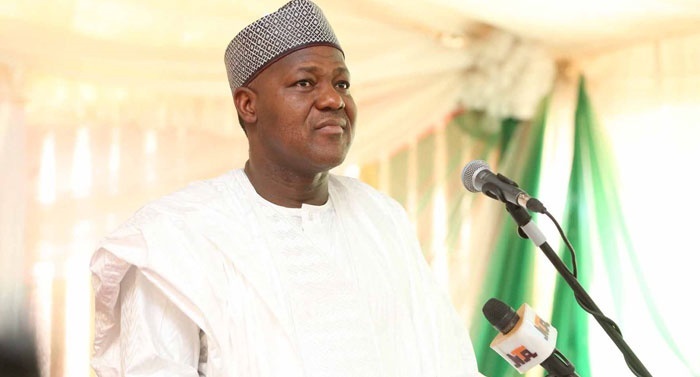 The Speaker of Nigeria's House of Representatives, Yakubu Dogara, thinks there is an anomaly in the way the fight against corruption is being handled in Nigeria and he has a suggestion. Sitting and watching until a crime is committed before mechanisms are activated to chase the criminal is the wrongest way to handle the fight against corruption, Mr Yakubu Dogara says. The Speaker of the House of Representatives believes there is so much emphasises on chasing looters of Nigeria’s treasury than it is on ensuring that funds are not looted in the first place. Mr Dogara prefers a system that removes emphasis on the anti-graft agency chasing looters and focuses them on agencies that are supposed to ensure that corrupt activities do not happen in the first place. He gave his opinion on the fight against corruption when he met with a delegation from the Fiscal Responsibility Commission (FRC) that visited him in Abuja on Thursday. “From the way we are fighting corruption, it is like emphasis is built on EFCC, but the problem with that approach that you are dealing with symptoms of corruption and corruption is like a tree. “Once you continue to deal with the leaves and the fruits, and the root is still there, you cannot totally eliminate corruption. “These are preventive agencies and we ought to invest more in agencies such as the Fiscal Responsibility Commission because we have to make it difficult for corruption itself to take place. “Once we do that, we will be applying the remedy at the root of corruption. “There is no limit to the kind of attention we can pay to agencies like this, because this is the right way to combat corruption itself to ensure that resources are efficiently allocated and that we have fiscal discipline. “Once we have done that, we would have reduced incidents of corruption by perhaps, over 80%,’’ he said. Earlier, the Chairman of FRC, Mr Victor Muruako, requested that the speaker should facilitate the amendment of the Act establishing the commission to make room for more funding for the agency. He said that there was need to empower the commission to retain a percentage of the operating surplus it collected from ministries, departments and agencies on behalf of the Federal Government. “This is in order to boost its activities and grant it financial independence," he added.